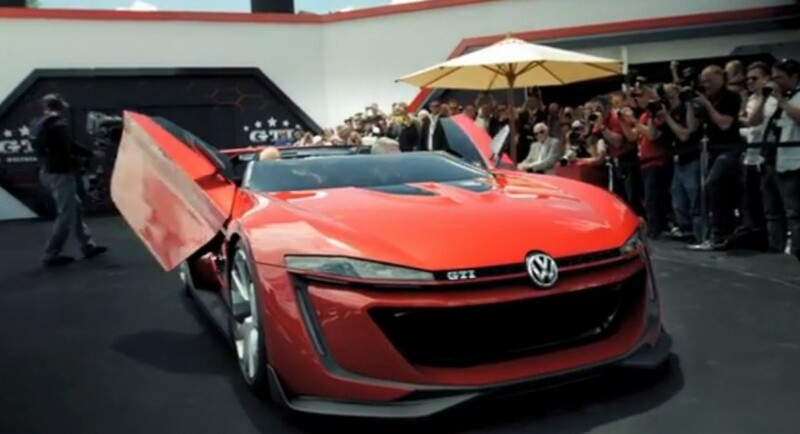 After the Volkswagen GTI Roadster Vision Gran Turismo was launched last month, the supermodel ended up in the spotlights again, after the automaker released a clip showing a step-by-step creation process of the model. 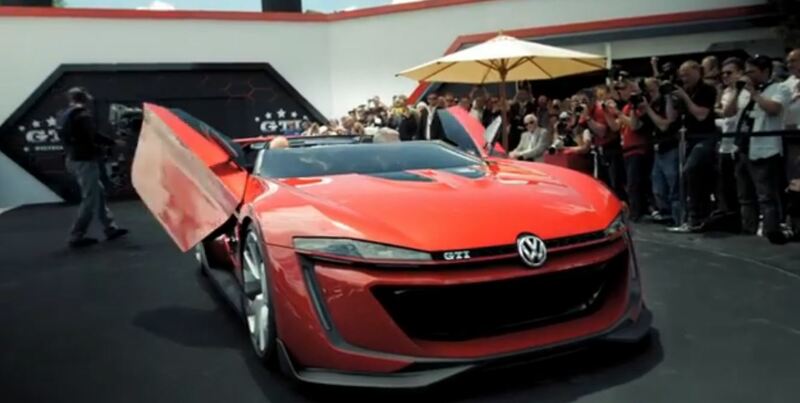 The video with the Volkswagen GTI Roadster Vision Gran Turismo starts by showing the supercar first riding in a famous racing video game, the Gran Turismo 6, while giving ideas for the engineers to perfectly recreate the gaming sportscar. The Volkswagen GTI Roadster Vision Gran Turismo has received a powerful 3.0-liter TSI VR6 unit, developing an impressive 503 horsepower and massive 665 Nm of torque. The engine is hooked to a 7-speed DSG transmission which sends the power to the company`s 4MOTION all-wheel drive. Apart from the worthy performance of such a futuristic supercar, the Volkswagen GTI Roadster Vision Gran Turismo has also received a carbon fiber body kit, a large rear wing, center mounted dual exhaust system or the 20-inch alloy wheels. To put it differently, we might refer to the Volkswagen GTI Roadster Vision Gran Turismo as a “GolF R32 on steroids”, having no roof.